Once again we bring you a new 3D model of a satellite, this time, Sentinel-5P, the latest launch of the Copernicus programme. Sentinel-1A and Sentinel 1-B were launched in 2014 and 2016 respectively. Both of them have a Synthetic-aperture radar (SAR) as their main instrument, based on the heritage from the ERS, Envisat and Radarsat missions. These satellites will indeed provide continuity of data from the ERS and Envisat missions. The Sentinel-1 satellites use their radar to constantly monitor sea and land, this is useful for cartography and ice control and also for emergency response in natural catastrophe emergency situations. Sentinel-2A and Sentinel-2B were launched in 2015 and 2017 respectively. These one’s main instrument is a multi-spectral instrument (MSI) with 13 spectral channels in the visible/near-infrared (VNIR) and shortwave infrared spectral range (SWIR) based on the heritage from SPOT missions and the Landsat satellites. This instrument, among many other things, will provide information for agricultural and forestry practices, it will measure leaf area chlorophyll and water content indexes in plants, and will monitor plant growth. Two more Sentinel-2 are foreseen for 2021. Sentinel-3A and Sentinel-3B were launched in 2016 and 2018 respectively. Sentinel-3 builds directly on the heritage pioneered by ERS-2 and Envisat satellites. Sentinel-3 main mission is to measure sea-surface topography, sea- and land-surface temperature and ocean- and land-surface color, it will also help on weather forecasting and pollution monitoring, Two more Sentinel-3 are also foreseen for 2021 or later. Sentinel-4A and Sentinel-4B will be launched in 2023 and 2030 respectively, These are not actual satellites, Sentinel-4 are two payload instruments that will be on board the two Meteosat Third Generation Sounder (MTG-S) satellites. The Meteosat are meteorological satellites built and launched by ESA but developed and operated by the European Organisation for the Exploitation of Meteorological Satellites (EUMETSAT). The two Sentinel-4 instruments mission will be; air quality measuring, stratospheric ozone monitoring, solar radiation measuring, and climate monitoring. Like Sentinel-4, Sentinel-5 is an instrument that will be included in another satellite, the Meteorological Operational Satellite – Second Generation A (MetOp-SG-A), also a meteorological satellite built and launched by ESA but developed and operated by EUMETSAT; that will be launched in 2021. Sentinel-5 is a high-resolution spectrometer system operating in the ultraviolet to the shortwave-infrared range with 7 different spectral bands which will provide data for atmospheric composition monitoring. Finally, Sentinel-6 builds on heritage from the Jason series of ocean topography satellites and from ESA’s CryoSat mission. This new mission is designed to complement ocean information from Sentinel-3, it will map up to 95% of Earth’s ice-free ocean every 10 days, offering vital information on ocean currents, wind speed, and wave height. Its launch is foreseen for 2020 or later. These are all the Sentinel satellites that have been launched or that are foreseen to be launched in the future, besides one, the Sentinel-5P. The Sentinel-5 Precursor is a satellite with a subset of the Sentinel 5 sensor set. It was launched on October 13, 2017, by a Eurockot Rokot from the Plesetsk Cosmodrome in Russia. 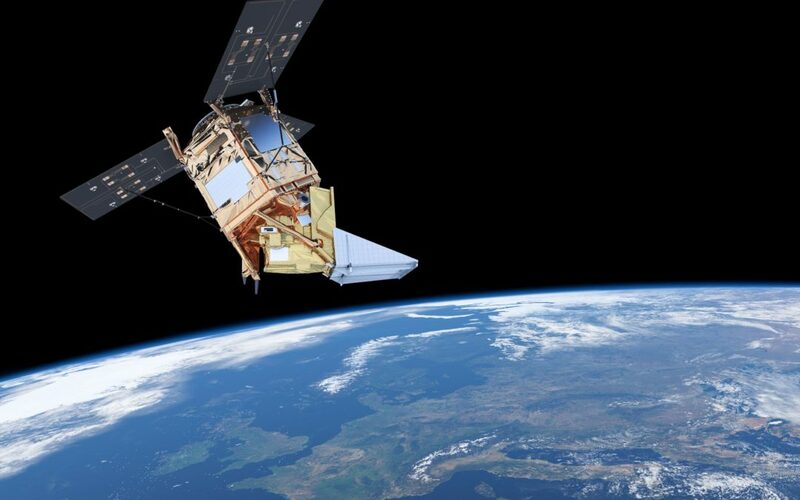 The main objective of Sentinel-5P is to reduce the data gap between the loss of Envisat in 2012 and the launch of Sentinel-5 in 2021. Sentinel-5P main instrument is the Tropomi spectroscope. Tropomi (TROPOspheric Monitoring Instrument) is a spectrometer sensing ultraviolet (UV), visible (VIS), near (NIR) and short-wavelength infrared (SWIR) to monitor ozone, methane, formaldehyde, aerosol, carbon monoxide, NO2, and SO2 in the atmosphere, extending the capabilities of the SCIAMACHY instrument from Envisat. Tropomi will be taking measurements every second covering an area of approximately 2600km wide and 7km long in a resolution of 7x7km. 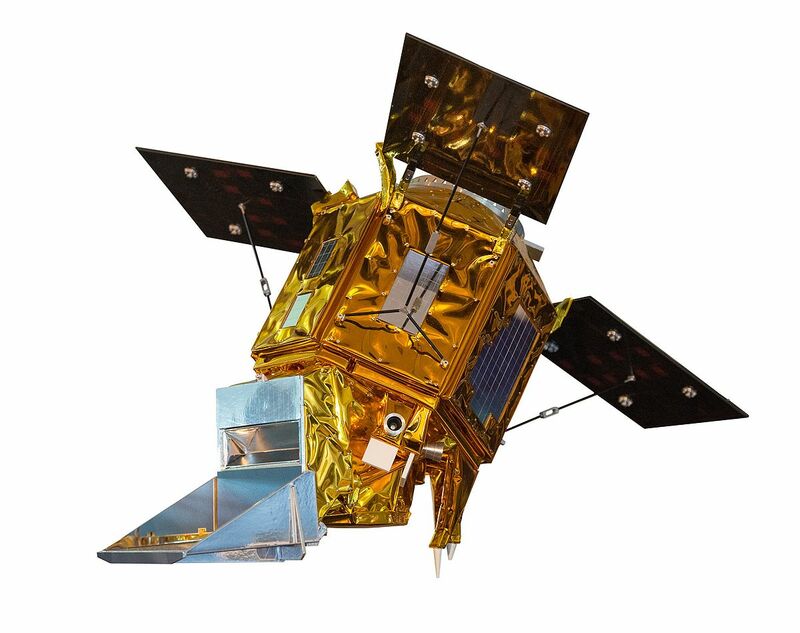 The design of the Sentinel-5P satellite is based on the Astrobus M., it consists of a hexagonal structure and three solar wings that are deployed once the satellite is in orbit. Tropomi is mounted on the ‘top floor’ of the platform and positioned at an angle of 30° to ensure the instrument points towards Earth. Antennas, star trackers, and the radiant cooler are also mounted on the top floor. The propulsion system, which is a monopropellant hydrazine system, has four 1 N thrusters in two redundant pairs. Our 3D model of Sentinel-5P has been designed from scratch, to ensure that it shows all the details of its complex structure and that is suitable for 3D printing.